She also slammed the leader of the Labour Party, who is also the Leader of the Opposition, Jeremy Corbyn for not taking part in talks to work on a Brexit that "both delivers on the referendum and can command the support of the Parliament". "Overwhelmingly the British people want us to get on with delivering Brexit, and also address the important issues they care about. But the deal which I have agreed to work with the EU was rejected by MPs and by a large margin. I believe it is my duty to deliver on the British people's instruction to leave the EU and I intend to do so," May told reporters. 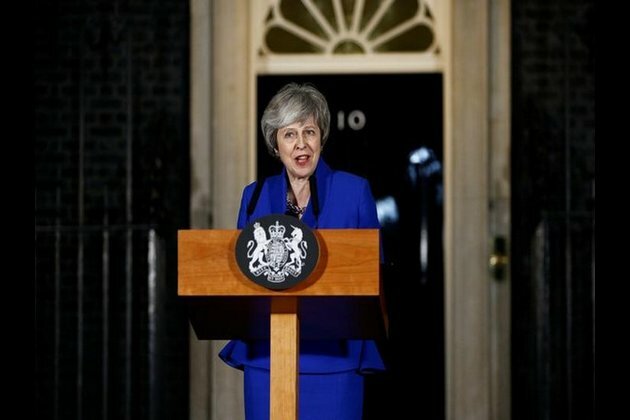 May announced that she has invited MPs from across parties to hold meetings. "So now MPs have made clear what they don't want, we must all work constructively together to set out what Parliament does want. That's why I'm inviting MPs from all parties to come together to find a way forward. One that both delivers on the referendum and can command the support of the Parliament," she outlined. "This is now the time to put self-interest aside. I have just held constructive meetings with the leader of the Liberal Democrats, and the Westminster leaders of the SNP and Plaid Cymru. From tomorrow, meetings will be taking place between senior government representatives, including myself and groups of MPs who represent the widest possible range of views from across Parliament...," the embattled Prime Minister highlighted. "I am disappointed that the leader of the Labour Party has not so far chosen to take part but our door remains open," she said while referring to Corbyn, who had initiated the vote of no confidence against her. "It will not be an easy task, but MPs know they have a duty to act in the national interest, reach a consensus and get this done. It's time for us to come together, put the national interest first - and deliver on the referendum," May reaffirmed in her concluding remarks. The stakes are high, as the UK is slated to leave the European Union on March 29, 2019, with no deal in sight due to the Parliament rejecting the previously negotiated treaty with the EU by a large margin.